Jessica Salaverria was born in Baton Rouge, Louisiana, and grew up in Maracaibo, Venezuela. As a child, her tactile sense quickly developed along with her creativity. She often found herself sitting with her "Granny" and "aunts" making art. To them it was just a way of living; to her a joy to her soul. Ceramic figures, piñatas, Christmas decorations and birthday cakes were the first influence to her imagination. Salaverria’s passion began to blossom when she moved to Argentina at the age of fifteen. She started to take “art classes”with a struggling artist that lived nearby in a small town called Los Cardales. She once told Jessica that fairies were a force of energy that gave nature its designated color. Even so, it was hard for Jessica to make a commitment to art during such a young age she kept taking classes weekly. Two years later, she moved to the exotic island of St Croix located in the US Virgin Islands. It was during this period that her life as an artist took root. The influence of the deep colors of the ocean surrounding the island and her wonderful art teacher (Mrs. Biddle) were the inspiration she needed to embrace her creativity. After graduating from high school, Salaverria obtained a scholarship from the Savannah College of Art and Design to pursue her dreams of becoming an artist. Today, Jessica Salaverria has a bachelor degree in fine arts as a painter. 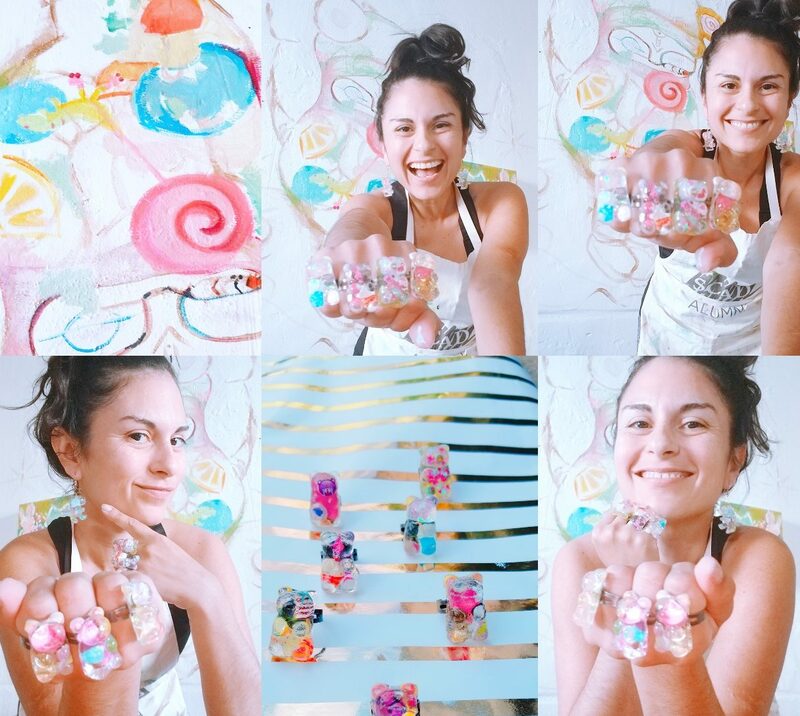 She devotes most of her time traveling and working with children from around the world inspiring them through art and feeding from their free spirit energy. She is a mixed media artist; always experimenting with different materials. She is a big fan of promoting creativity through recycling materials and knows humanity can be a positive impact to the world by it. Her passion is so amazing she even gets lost in it. She is quick to transform a thought from her mind into a visual reality. She doesn’t have a concept and almost never plans what she is going to paint. Her style varies from abstract fantasy to narrative illustrations. But there is really no telling what she will do. As an experimental artist, she is always discovering new innovative ways to generate art. The concept of her work sort of invents itself as it progresses. It’s after the making of an art piece that the perception develops into an actual belief. Isn't that how we learn? June 23, 2018 July 18, 2018 Jessica SalaverriaLeave a Comment on What’s your bird? May 17, 2018 Jessica SalaverriaLeave a Comment on Landi is hiring!